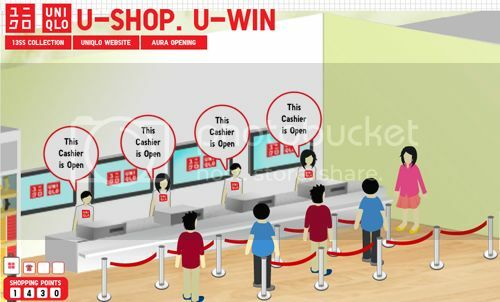 Last Friday, I was given the opportunity to attend the launch of Uniqlo’s new game app called U-Shop, U-Win. 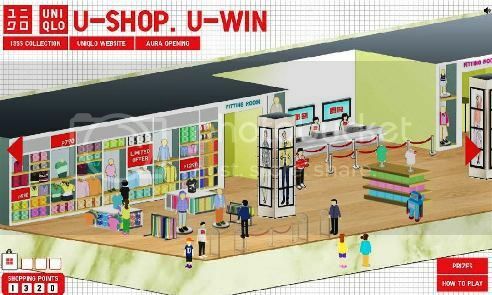 The U-Shop, U-Win game app on the Uniqlo Philippines Facebook page allows participants to “shop” at a virtual Uniqlo store. 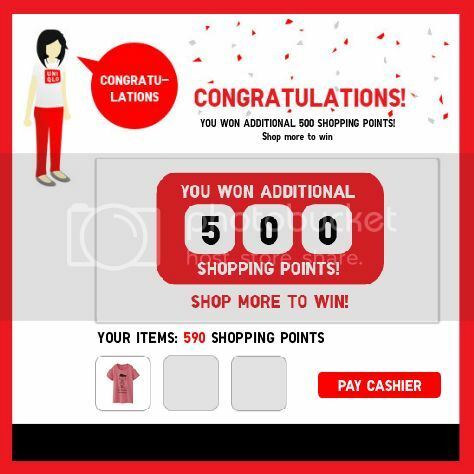 Upon registration, you get a set amount of shopping points but can get more by clicking on links within the game. You then use these shopping points to “pay” for the items you’ve selected at the game app’s cashiers. You have a 1-in-4 chance of winning a minor prize at the cashier: P500 Uniqlo gift certificates, or Uniqlo AIRism and UT items. The consolation prize is additional shopping points which you can use the next time you “shop”. U-Shop U-Win consolation prize. Play again? 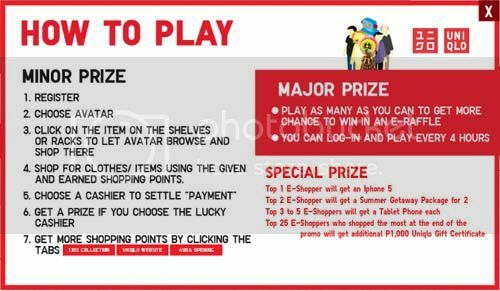 You can play the shopping game every four hours, and each time you play, you get a raffle entry to the major prize draw. The major prizes are: iPhone 5 phones, Canon cameras, a summer getaway package for two, and tablet phones. There are also special prizes, like an iPhone 5 for the #1 shopper, and P1,000 Uniqlo gift certificates for the top 25 shoppers. The promo period is from March 22 to May 5, 2013.